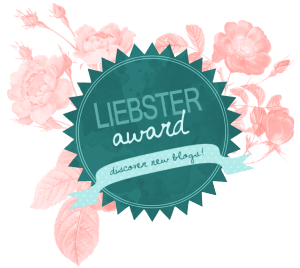 I was recently nominated by the lovely Lauren from An Impatient Scottish Girl to do complete this new LIEBSTER AWARD, which is much better in my opinion compared to the original one. Lauren is a sweetheart and she said the cutest things about me and my blog, so thank you very much for your kind words! If you haven't already checked her out give her blog a good read, you won't regret it! There's so many bloggers that I read on a daily basis and have been since I was first introduced to the blogging world (before I even had the courage to start writing my own). Then there's all the lovely new blogs I have fallen in love with since starting up my own, so this is a really tough question. But I think I will stick to the ones I discovered first which have to be: LILY PEBBLES, VIVIANNA DOES MAKEUP & ESSIE BUTTON. I sat in front of my laptop for quite a while before I could think of an answer to this. I guess I am driven by the passion that I have recently discover towards the beauty world & blogging. Not letting go of that passion and continuing to discover myself are my main goals. Also being a good mother and a good partner have got to be part of what drives me in life. Anything from spending time with loved ones, to my daughter Ellie just being around me, to buying a new beauty products, to having a cup of tea made for me, to gaining a new blog follower, make me happy. 4. What is your dream job/personal goal? I still haven't quite fully figured that one to yet but I think as long as I continue to stay in the beauty world and have my blog grow more and more each day, I will be content and hope that one day it will all fall into place. All foods are my favourite food really haha! I am not fussy or picky at all. I thoroughly enjoy Italian foods and I have a weak bone for baked goods and desserts. I really think it's totally unfair to pick just one because brands are unique in their own way for different reasons so I will name a few here: MAC, Urban Decay, Rimmel, Revlon & The Body Shop. Usually on the high street and it changes within the year as it depends on what clothes they have in store on offering. I like River Island, H&M, Zara & New Look quite a lot. After a year of doubting myself over actually being able to write a blog I decided to just go ahead and do it. What did I have to loose after all… I guess the move over to London also gave me the last push that I needed because I didn't want to loose that bit of myself that I had found when I did the makeup course in Dublin and when I realised that working in the beauty industry in some form or another was what I wanted to do. I have gained so much confidence in myself and in who I am over the last two years actually. Becoming a mother changed me immensely and gave me a new found purpose in life. Now blogging has added to that purpose and has given me more passion and confidence then I would had ever thought. Oh god I have no idea but I know it would be something with lots of drama and heartache but with a happy ending. My life so far hasn't always been the easiest or happiest, but I can finally say I am at my happiest, so I will strive to stay this way and continue to work on it everyday. Hope you girls enjoy completing this if you haven't already!